Expensive? Not really. Expensive is when you pay AUD$700 for Vista Ultimate with the promise of “specials and extras” that were never delivered. In all these decades I have use in many devices via normal licenses all the MS oses, now I am using the 10 but most of all I loved the XP and 7. I had forced to move from XP for the directx 10 support and the over 4 gb ram support and from Windows 7 for the directx 12 support and the over 4 tb disks. I don’t understand why MS has to drop the support if the people still want to use that os. If I was the manager of a big company I will had choose to use in all of the company pcs only Linux with libre office, firefox, vlc, davinci resolve etc and I will had send a request to Affinity to port their photoshop clone to linux too. It’s not only for the money but for legal simplicity too. Because it costs Microsoft money to support another OS. More money being spent on supporting an older OS = less profit = less money for their shareholders. And the security features are asking for a nightmare down the road. Nah, just MS want to have the final word to who will publish an applications. That’s why the default option (that evil property) in Windows 10 is to allow only approved applications. Of course they have to understand that idea is a chimera and it will never happen. MS doesn’t have any moral right for any reason to hold the legal right (and maybe to charge on that) to decide if the product of the work of some programmers will reach the audience. Programmers have give life to that company and programmers they will take it back if that becomes necessary. And please don’t tell anything about security etc. It’s only about because they want to try to maximize the profit of shareholders even if that means greater dangers which they don’t understand because they (the shareholders) aren’t familiar with the market anymore. Pretty simple really. MS is the PC world's equivalent of the right wing Repubs that just refuse to realize they are duplicating 1930's Germany. They, just like MS, will soon realize the world is tired of their lies, and wake up to be third world! Linux/Kail just came out with a patch called "Wine 4.0, when installed every windows program will run on the platform just like in windows. Free all of it. Knot Schure, onestepforward and treetops like this. This is what Windows 10 does to you, makes you insane, people! That is their own fault for continuing to change every few years. It was inevitable they would cross a line that people didn't want to cross with them. It has actually been a repeated phenomenon over the years. Never before though have we lost such control over our own machine. Companies don't sell products by making things that are not wanted. It is time Microsoft learned that again. At this point Microsoft is arrogant in thinking they can pressure a move into Windows 10. That is a bold stance, all because they know within reason they will weather the storm. If I knew moving back to Windows 7 myself would help pierce their bold arrogant armor, I'd do it in a heartbeat. I want control of my own machine again without being stuck in the past. I moved forward during the free upgrade. I damned sure wouldn't have paid for this piss on myself experience. As far as continued support for Windows 7. We don't need continued support from Microsoft. The only thing we need is a community that continues to support an OS. If we had community support then everything else would follow. I have a feeling that when these companies are forced to pay, loose control of their machine, or simply get stuck in the past. We will hear a big uproar that will then force change within the OS. But then again I have no idea if that is even a problem with Windows Enterprise. What I do know is their continued push for automatic updating is a tremendous strain on our ISP rates all the time. I truly wanting to send them my Internet bill. Simply because Windows Update usage is not in my control without using an outdated OS. But I'm sure they have protected themselves in the Eula somewhere. Which really cements their ability to be so boldly arrogant. I've forgotten why I ever switched from XP 64 bit, but it was probably work-related. Nah - they threw the customer under the bus because they want to push the 'Windows Store' application. Actually 1930s Germany and MS are more aligned with the invasive control and big government of socialist democrats. Republicans want less government control. Enough with the political crap guys the article is about pricing on extended support for windows 7. If you don't know why Microsoft ends support on older operating systems, regardless of popularity, it's pretty simple. Microsoft is a business, like most business's they are operating to make money (turn profit). Supporting a 10 year old operating system for free doesn't make you money when your a software company. Its good microsoft is ending support soon. Cmon people W7 is a decade old. Dont be dumb and learn to adapt to change. You're already missing out on USB 3.0 and DX12. W7 is also way more vulnerable to malware. Windows 7 has USB 3.0, are you talking like 3.1 or thunderbolt 3? Supporting a 10 year old operating system for free doesn't make you money when your a software company. Unwanted changes are not needed to get people to continue paying. You might want to read the bible before you stand up on a soapbox and start preaching the gospel. The USB capability is based on the board's chip set and drivers. not the OS. Lmao good luck man. Nothing I said was untrue. Just clarify to get W7 does not have official USB 3.0 support built in, you need to find them from the manufactuer site. DX12 is an obvious one. And yes theres plenty of evidence does show the W7 machines are less secure than those with W10 installed; just look it up ok.
captaincranky, how old are you? If you disagree with someone, try to work it out with them in a civil manner, than kill them with personal attacks. Chances are you and I don't know everything, so its nice to discuss it amongst each other. My response to my original comment can be seen below. Personally, I don't think you pontificating about how "anybody who is still using Windows 7 is behind the times and should get with it", is any less of "a personal attack". Day in and day out, individuals complain about fluff articles, then explain how this is a tech site, and what we need is the latest tech news. Apparently it doesn't matter whether or not they understand the basics like, "Mommy, where does USB come from"? As to your commentary on Windows 7's "extreme vulnerability", much of that heaping portion of FUD, has been served up by M$ itself. Why do they do that you ask? Why. so they can sell you another operating system. Do you think that DX-12 couldn't have been provided with an update to Windows 7? Are you under the impression that Windows 7 shouldn't have been afforded the dignity and consideration of additional service packs, the same as Windows XP? The fact is, Windows 8, steaming turd that it was, got dropped on Windows users by someone, (Bill Gates' buddy, Steve Ballmer), who is no longer with M$. Then M$ began to hatch a plan to ram Windows 10 down users throats by offering it as a "free upgrade". What they failed to mention, is that it's an always in beta pig, and a data mining extravaganza. And if you want to buy into that crap about "we're taking complete control of your computer away from you for your own good", then I've got a few more fairy tales you might find entertaining. 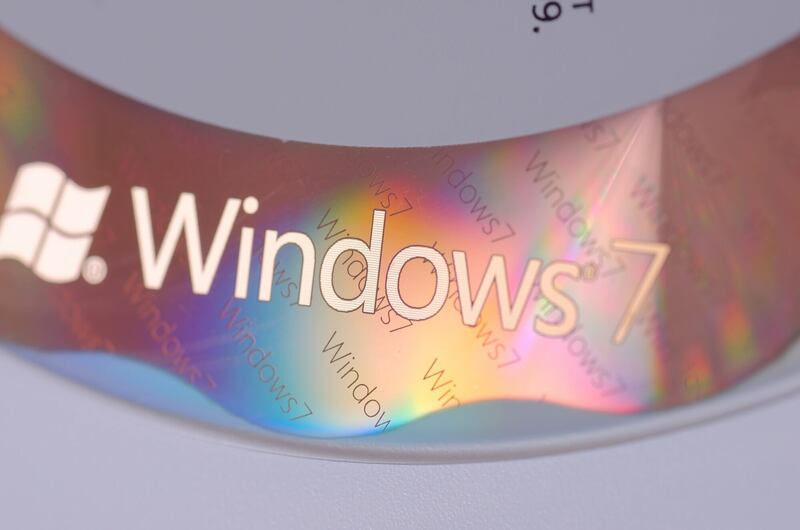 "Staying on Windows 7 Pro is going to cost even more. ESUs will start at $50 before going up to $100 in year two and $200 during year three". Those charges amount to about 3 times what you paid for the license to begin with. Since they should be able to do a quick bit of reverse engineering to use security patches from Windows 10 to plug holes in Windows 7, how in god's name could "poor M$" be, "losing money supporting it? They want to wedge Windows 10 into the business environment, since it's a lot more lucrative to data mine large corporations than it is to find out what granny's doing with her computer, plain and simple. CODA: You might be interested to know I'm running Windows 7 in an Intel X170 based system. I put it in without slipstreaming drivers into a USB stick. Just popped the disc into the optical drive, and was done with it. And yes, that board has USB 3.0. M$ dropping breadcrumbs from time to time to generate buzz at tech sites, is analogous to having to tolerate some fool feeding a flock of annoying starlings right in front of your house. For example, these "new and improved error messages" which will be forthcoming. All it amounts to is M$ being able to tell you to yank a program because it's "incompatible", and then shunt you off to their store to buy one which rather obviously, will be. In other words, closing the system, ala Apple. Knot Schure and cliffordcooley like this. ....[ ]....And yes theres plenty of evidence does show the W7 machines are less secure than those with W10 installed; just look it up ok.
Perhaps, but that's by M$'s own design. They have Windows defender working at full strength in Windows 10. The bottom line there is, they want to monopolize the AV / Anti malware trade as well. Without a need for 3rd party security software, M$ manages to close their system a bit more.....(again ala Apple). So, the decision prima facia seems to be, "how about if we leave Windows 7 vulnerable, so we can ram 10 down our users throats. It's a talking point which seems to have you pretty much hypnotized, if you don't mind me saying so. Just clarify to get W7 does not have official USB 3.0 support built in, you need to find them from the manufactuer site. Since when is it an issue to get drivers from a board manufacturer's website? Hell, they even include a driver disc with the board in the box. M$ certainly has never issued BIOS updates. Why should a board specific USB driver update any different? As a matter of fact, Windows 7 will search the web for a driver for you. Actually, what you said WAS untrue - My laptop runs USB3.0, and I've installed nothing specific. Just let the Dell driver thing rip - as MOST PEOPLE do when installing their machines. So to claim I had to defuse a bomb or something to get my machine to work was disingenuous. Even if you installed W10, you wold be missing a card reader - or something, for which the computer manufacturer would offer from their site, via some automated tool. DX12 I couldn't give a toss about, and I have a DX12 capable 1070M in my machine. On my Desktop with dual 1080Ti's - no DX12 either. The world still turns.